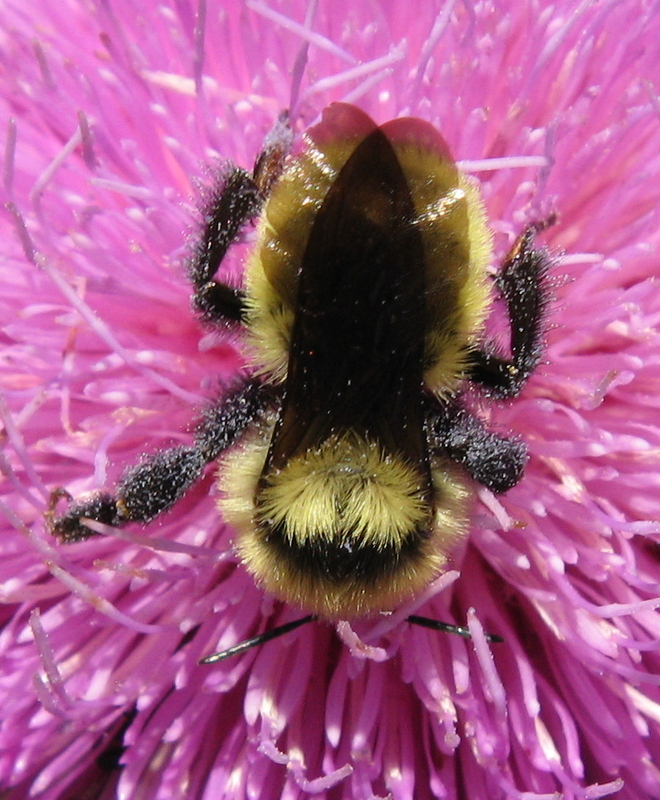 Speaking of Bumblebees – KeaPOD(s) 7 | KeaNeato! 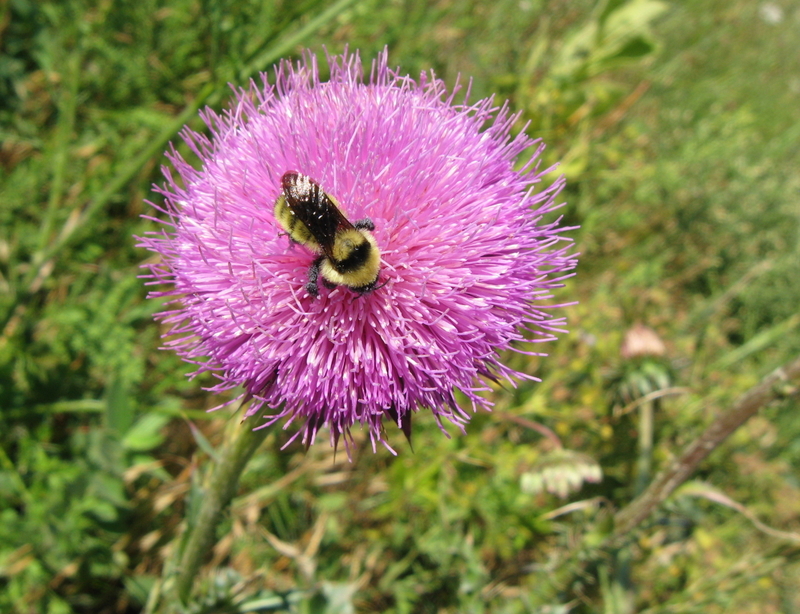 Bumblebee on Flowering Thistle; photo by keagiles. Click on the photo for a larger image; higher resolution versions available upon request. A second bumblebee on a thistle flower. Photo by keagiles. Click on the photo for a larger image. Closeup view of the bumblebee. These bumblebees were “captured” along the Marshall Mesa Trail near Boulder, Colorado, USA — one of my favorite places to hike. Note: These are not the same species of bumblebee as in my earlier BBC Bumblebee post — In fact, there are more than 250 known species, according to Bumblebee.org. Wow. Kind of like butterflies, except on a smaller scale (there are more than 20,000 species of butterflies, according to the North American Butterfly Association). 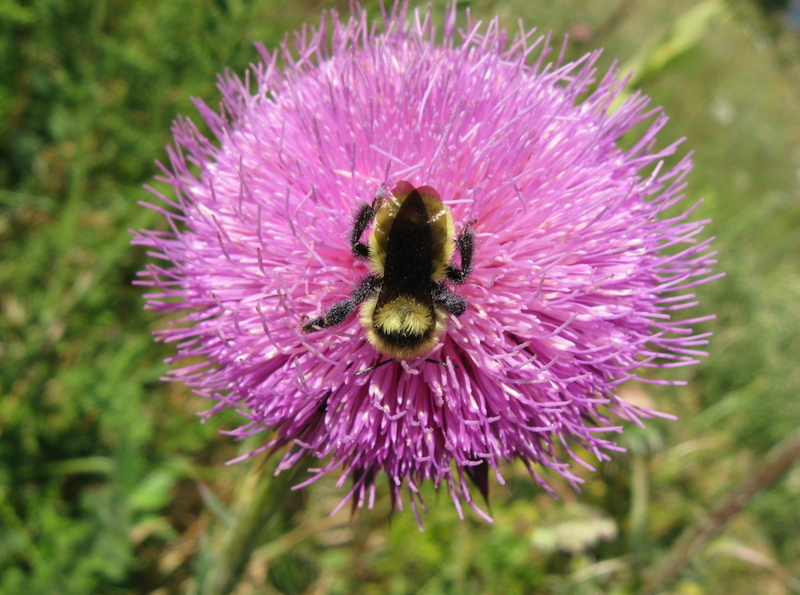 This entry was posted in beautiful, Life, POD (picture of the day) and tagged bumblebee, Colorado, Marshall Mesa, thistle flower. Bookmark the permalink.